Inside the dying pine trees of the West there’s a song being sung. As bark beetles gnaw through the sweet cambium of the trees, laying eggs, cutting off nutrients and injecting fungi, they make rhythmic clicks, scrapes, rasps and rattles. Environmental sound artist David Dunn, who noticed the conifers near his northern New Mexico home were dying, set out to record this symphony of death. A similar requiem is being played across million of acres of forest in the Western United States and Canada. The U.S. Department of Agriculture just announced a $40 million investment to help stop the beetle destruction and bring the forests back to health. 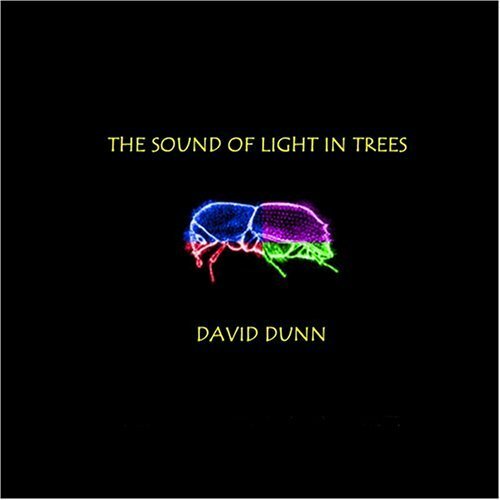 Dunn said all the sounds heard in his recording occur within the interior of one species of conifer tree, the common twoneedle pinion, native of the southwestern United States, Pinus edulis. By the “interior” of the tree, Dunn means the layers of phloem and cambium between the outer bark and inner xylem. Within this narrow band of cellulose, air, and fluid, he has captured an almost unknown acoustical world orchestrated by an extraordinary array of busy sound makers. He organized his compositions around the idea that it would be possible to hear all of these sounds within one large tree if enough sensors were simultaneously placed throughout its maze of branching structures. Perhaps recording these sounds seems like an oddball notion, but consider that as bark beetles continue to kill millions of acres of pine forests in the West, only a few researchers have looked at the organizing effects of sound in colony survival. Scientists have mostly focused on chemical pest control strategies. Beetles hear the songs, but it’s possible we miss the music.